This is the first major study of the diverse personalities, achievements, and tactics of British feminist leaders of the 1920s and 1930s. Presenting sketches of sixteen prominent but very different feminists, the author examines the breadth and scale of their activities, explains the organizational context and ancestry of feminism between the wars, and underlines the achievements of the feminist movement in advancing women's political, occupational, and family roles at home and abroad. 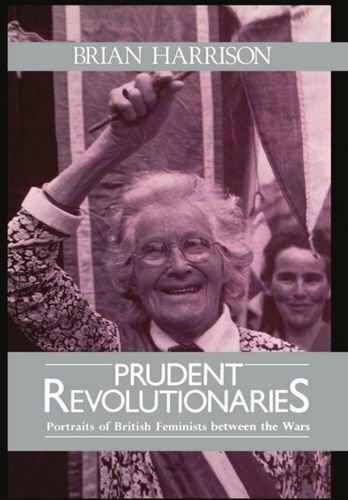 Highlighting the lives of the first generation of voting women in Britain, Prudent Revolutionaries provides an insightful composite portrait of the reforming personality, and of the tactical and strategic dilemmas the reformers faced when trying to operate democratic institutions within a hostile climate. If you have any questions about this product by Brian Howard Harrison, contact us by completing and submitting the form below. If you are looking for a specif part number, please include it with your message.